Here are twelve ways to heal eczema naturally that I have developed over 24 years of specializing in the natural treatment of skin disorders with Chinese Medicine and Ayurveda. One of my first cases in the clinic as a student was a newborn baby from Israel with scalp eczema. I treated him with Chinese herbal medicine alone, which the mom took and he got through her breast milk. He was all better within three weeks. I am still in touch with the mom, who returned to Israel, and 24 years later she reports that every few years he gets some kind of eczema flare up and when he does he takes those herbs and is better within a week. I myself suffered from a very severe case of Psoriasis all over my body at age 17. It was 90% cured within 6 months with Natural medicine, and 100% better years later with Chinese Herbs. Let me share with you what I have learned. As much or even more than most diseases, “nursing”, which means everything you do with your lifestyle and diet, is a critical part of the natural treatment of Eczema, Psoriasis, Hives, and Acne. Below are the twelve ways to heal eczema naturally from my clinical experience. Bathe in cool to lukewarm water, never hot. Hot water makes eczema worse because it drys out the skin. Combat eczema by preserving skin’s moisture, make eczema worse by drying your skin out. One of the fastest ways to dry out your skin is hot baths and hot showers. In fact, ALL bathing drys out your skin, so if you have eczema try to keep your showers short and cool, especially during a flare up. If you like de-stressing by soaking in the tub, to be blunt, you have to find an alternative way to de-stress, like herbal tea or meditation. If you love heat and have no eczema on your neck, try a filling a cotton sock with rice, placing in microwave, heating to desired temp, (dont burn it) and lie down on it under your neck and base of your skull. Whatever your stressors, whether its simply too much on your plate (don’t we all have the one), problems with a family member or co-worker, or personal problems of your own involving anger, fear, anxiety, or grief; you must deal with them. Sometimes you just need a coach or friend to help you figure out whether to take that new job, quit the old one, or how to confront a difficult situation. On the other hand some of us have an innately strong intense stress response even to minor things like a stop sign that chronically put our nervous systems into the fight or flight response. And then some of us have deep emotional stuff to deal with, from abuse issue to PTSD. One of the best forms of stress management for Eczema is Mindfulness Meditation. Mindfulness meditation helps you deal with how your nervous system stimulates the production of histamine, with your emotional triggers, with your response to having eczema. It can help quite immediately with the itching and scratching cycle that is so deleterious to recovery from eczema. Acupuncture is excellent for Eczema because it can actually change the acidity of the skin associated with elevated histamine response. Classical Chinese and Japanese acupuncture actually clears the heat toxins from the skin that causes the Eczema lesions. Acupuncture also decreases itching in both eczema and hives/urticaria. Acupuncture also is very relaxing, and can help with any emotional issues associated with the frustration of having eczema. Acupuncture also helps eczema because it helps abort the nervous system response to stress, and promotes the relaxation response such as you experience in meditation. I have found that eliminating wheat and gluten completely from the diet for three months really helps with eczema. This is because eczema is a damp, as well as heat disorder in Chinese Medicine. The dampness in eczema is associated with the oozing and moisture you see breaking through to the skin where it should be moist, but not wet. All allergic disorders seem to do better without wheat in the diet. It may be an allergic response to the gluteic acid in modern gluten, as much as the gluten. Wheat, especially in the form of bread made with baker’s yeast, helps promote digestive toxins, called Ama in Ayurveda. When we eliminate wheat, cold foods, dairy, and sugar from our diets, we give our guts a rest, and allow our Agni digestive fire to become rekindled to burn off the digestive toxins. If you have a thick or greasy tongue coating, your have and Ama accumulation. Eliminate any of the hot type foods that are common allergens like shrimp, crab, lobster, strawberries, for the very reason that you are adding heat to heat. For the same reason you have to take a break from alcoholic beverages which are super concentrated sugar in a very hot form. Sugar in very small amounts is ok, but sugar as in sweet deserts should be avoided because they cause heat. This does not mean you will never be able to drink a beer or wine again, but you have to give it up during the initial phase of treatment, anywhere from 3 weeks to 3 months, sometimes longer. Rice for energy, meat for strength, and vegetables to keep everything clean. This is the message of the ancient Chinese medicine nutritional specialists. If you have eczema, especially during a flare up, really push lots and lots of nicely cooked green and root vegetables. Eat vegetables in soups, stir-fries, baked, or in mush Indian style dishes. In summer eat salad and cooling veggies like cucumber. Besides too much sweet, too much spicy hot or sour foods will aggravate Eczema. Especially avoid spicy hot dishes that make you sweat. If you are culturally used to Chile, like if you have eaten them your whole life, then just be more moderate than usual, or eliminate. But if you are not so used to Chile, then avoid it like the plague, especially in vinegary sour sauces from the bottle, or at Thai restaurants, where they also use a lot of very concentrated anchovy-based fish sauce. Just as water dries your skin and worsens eczema, moisturizing preserves your skins natural moisture and helps eczema. Everyone is different. Some people really do well with coconut oil, or coconut oil blended with sesame and seems oils. Coconut oil is the most cooling edible oil. Sesame oil is the most deeply moisturizing oil. I read once something about the molecular structure enabling it to penetrate more deeply. In Tamil Nadu, India, the word for Sesame Oil is Nal Enay. Nal means good, so its literally called good oil. Its used for everything, and can even get paint of our skin. Some of the most expensive natural cosmetic brands like Dr. Hauschka use Sesame Oil as their base for their moisturizer creams. Neem oil is the most cooling medical oil, but has a strong smell, so most folk will blend 10% Neem into whatever other oil they use. 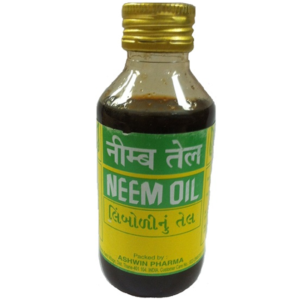 Neem oil is made from the seeds of the Neem tree, whereas the Neem sold in capsules to take by mouth is made from the leaves of the tree. Look here for more information on the Neem tee, and the use of its leaves for Eczema and Indian culture. Some people prefer and need something thicker than oil. In those cases I recommend Shea Butter. Shea butter smells good, is all natural, mildly cooling, and blends well. What I have people do is on a hot day when the Shea butter is soft (if not you heat it in a pan on the lowest flame) place Shea butter 50% with Coconut oil 50% in a food processor and blend well. Add essential oils to the blend if you want. I like add Lavendula Agustofolia for mild cases of hot or dry eczema, like the person who gets small amounts on their hands after dish washing. Some of my patients don’t like oil at all. I have met people who do very well with synthetic products like Eucerin. I don’t like synthetic, but its your body your choice. If it works for you. If you want to try a ready-made ointment for eczema or psoriasis, many of my patients have been helped by a product called Psoothe, designed for both Psoriasis and Eczema which is based on the Chinese Medicine herb Indigo. See before and after photos on their website. Another product I like a lot is Blue Poppy brand Eczema ointment, although I find it a bit grainy and feel it works better when blended with the Shea Butter Coconut Oil combination I describe in the previous paragraph. Blue Poppy Eczema ointment contains an array to heat and damp clearing Chinese herbs that are used in China for Eczema. The other topical product I recommend is Original Swiss Aromatics Eczema blend, an essential oil blend you can add to your natural ointment or Eucerin. This is a fantastic product that contains the most important essential oils for Eczema used in Aromatherapy. Its not the fragrance of these oils that makes them work, but the chemical action associated with the fragrance. Though this blend does smell lovely. Warning: Do not apply essential oils directly onto the skin without a carrier oil or balm. As with any topical product , start with very small area of your skin to evaluate if you like how it feels or if there is any allergic reaction. My favorite single Western herb for Eczema, in particular acute cases, which means of recent origin, or any chronic case that really flares up quickly and suddenly, is Freeze Dried Nettles. The best brand is Eclectic Institute. You can also try their version that has the addition of the flavonoid Quercitin. Both Nettle and Quercitin reduce histamine response, that is why I use Nettles for acute and chronic hives/urticaria, and respiratory allergies, too. There are many Chinese Medicine formulas for Eczema that work very well. One of favorites is Dang Gui and Arctii, called Xiao Feng San in Chinese. This is a formula that works great with pediatric eczema and any eczema where there is a lot of itching. Neem Col also contains two other Ayurvedic herbs for skin disorders and auto-immune skin disorders like Vitiligo, Tinospora and Rubia Coridfolia. I hope this is helpful info to people out there looking for natural treatments for Eczema. Most of the above applies to the natural treatment of Hives Urticaria also. Chronic and acute hives is actually much easier to treat than eczema. I have had, so far, thank God, a 100% success rate with Hives. Eczema is a bit deeper, and takes more time, but don’t worry, there is hope. You can recover 100% from eczema. Be glad to help you with the Dermatitis, Helen. Have sent you an email, Thanks.